Tasmania's bushfires may have resulted in the release of significant amounts of mercury from burnt trees into the atmosphere. Our research shows that industrial mercury pollution from decades past has been locked up in west Tasmanian trees. Mercury occurs naturally in Earth's crust. 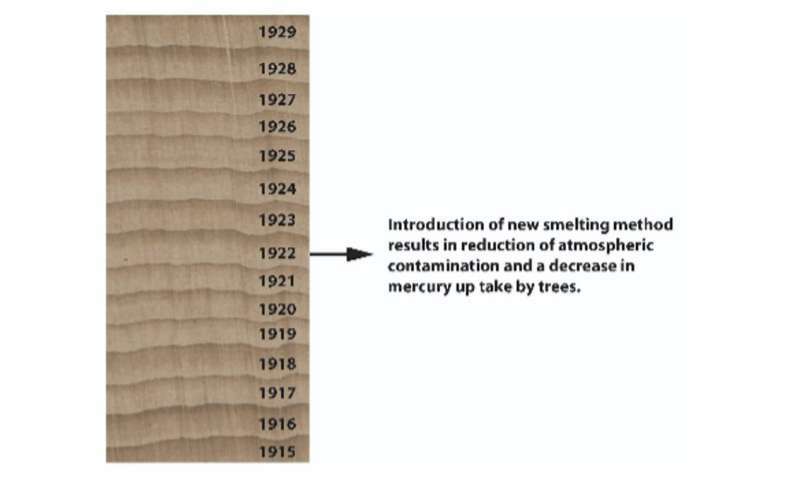 Over the past 200 years, industrial activities have mobilised mercury from the crust and released it into the atmosphere. 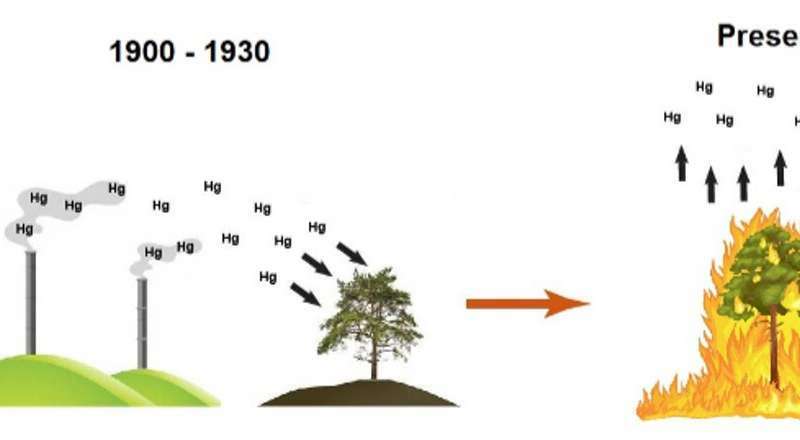 As a consequence, atmospheric mercury concentrations are now three to four times higher than in the pre-industrialisation era. Increased concentrations coincide with the commencement of pyritic copper smelting in Queenstown in 1896. They peak between 1910 and 1920 when smelting was at its height. In 1922, concentrations begin to decline in parallel with the introduction of a new method to separate and concentrate ores. This method required only one small furnace instead of 11 large ones. In 1934, a new dust-collection apparatus was installed in the smelter's chimney, coinciding with the further decrease in mercury concentrations in nearby Huon pine.